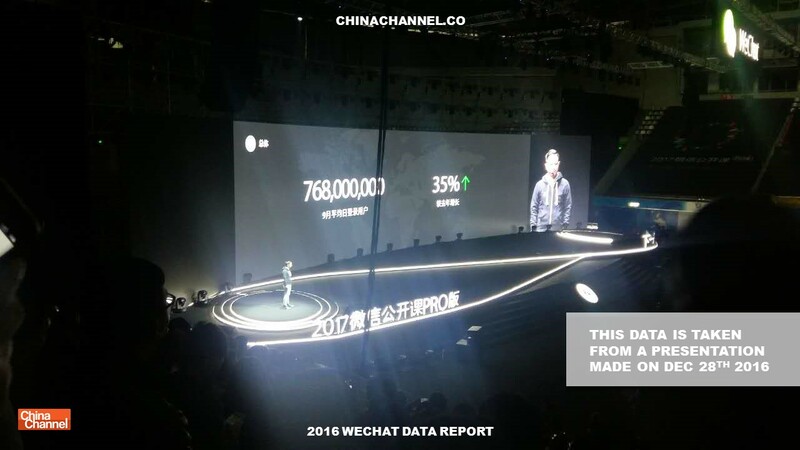 New WeChat Data: Yesterday the WeChat team released a rare stats presentation filled with some amazing insights into what is happening on WeChat. Unlike other reports and data released this is the real deal. This information is not based on indirect data, estimations or online surveys. It’s direct data from WeChat’s servers. 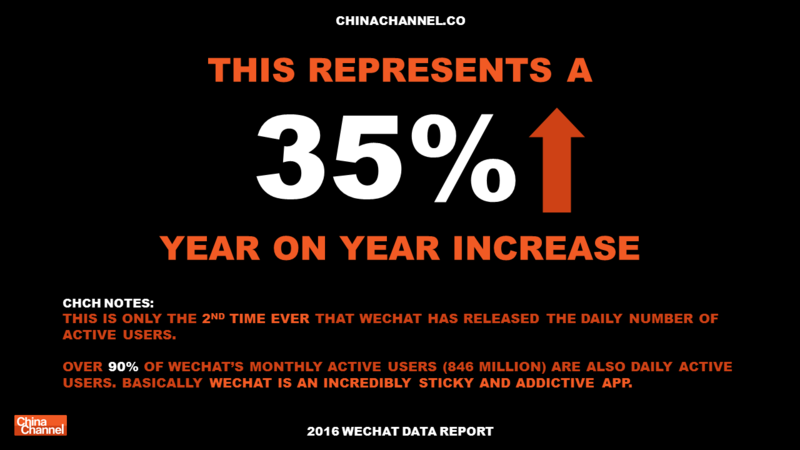 768 Million Daily Active Users Now On WeChat (35% Increase YoY). 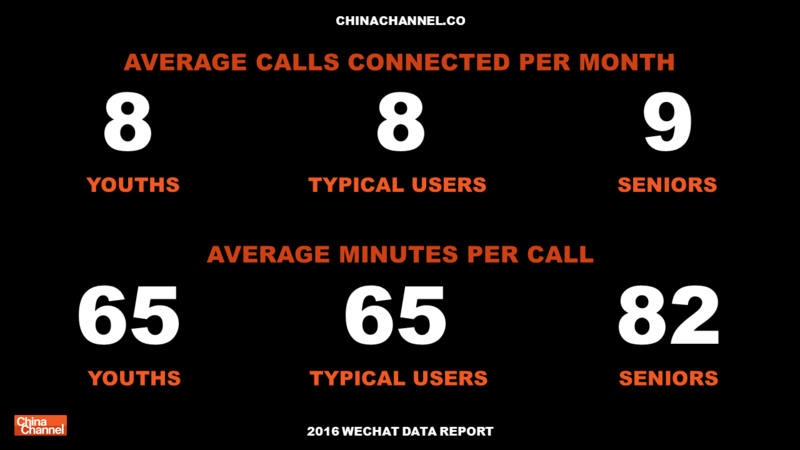 50% of WeChat Users Spend 90 Mins Per Day In WeChat. 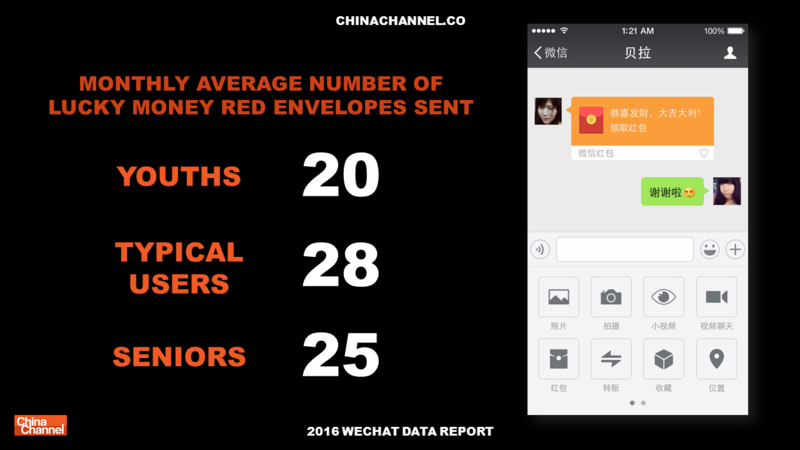 Only 1% of WeChat Active Users Are 55 Or Above! Chinese travelling to the states are 90% from Beijing and Shanghai. Typical WeChat users spend 580 yuan on sending lucky money to friends per month. 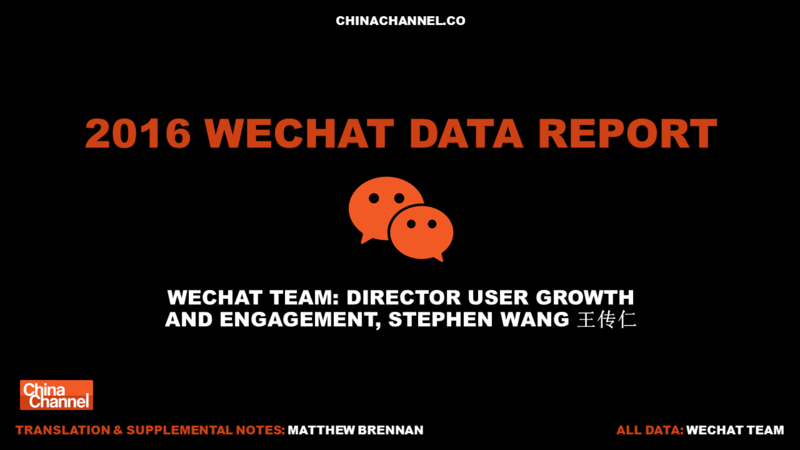 2016 WECHAT DATA REPORT WECHAT TEAM: DIRECTOR USER GROWTH AND ENGAGEMENT, STEPHEN WANG 王传仁. ALL DATA: WECHAT TEAM. 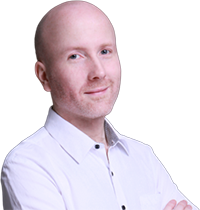 TRANSLATION & SUPPLEMENTAL NOTES: MATTHEW BRENNAN. THIS DATA IS TAKEN FROM A PRESENTATION MADE ON DEC 28TH 2016. 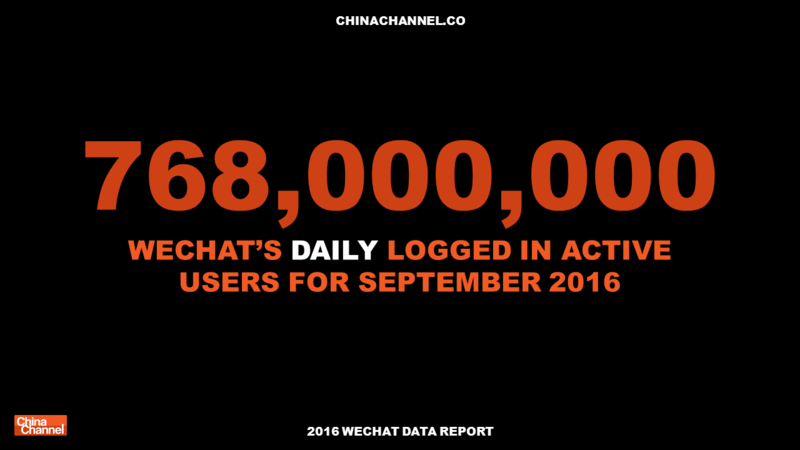 768,000,000 WECHAT’S DAILY LOGGED IN ACTIVE USERS FOR SEPTEMBER 2016. THIS REPRESENTS A 35%. YEAR ON YEAR INCREASE. 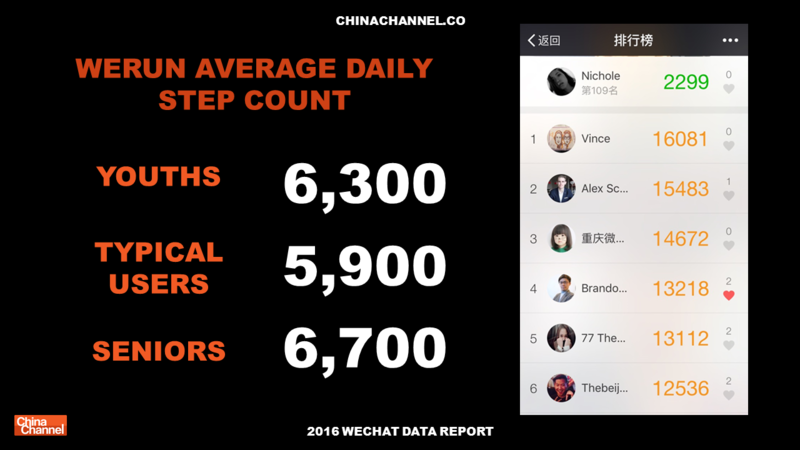 THIS IS ONLY THE 2ND TIME EVER THAT WECHAT HAS RELEASED THE DAILY NUMBER OF ACTIVE USERS. OVER 90% OF WECHAT’S MONTHLY ACTIVE USERS (846 MILLION) ARE ALSO DAILY ACTIVE USERS. BASICALLY. WECHAT IS AN INCREDIBLY STICKY AND ADDICTIVE APP. 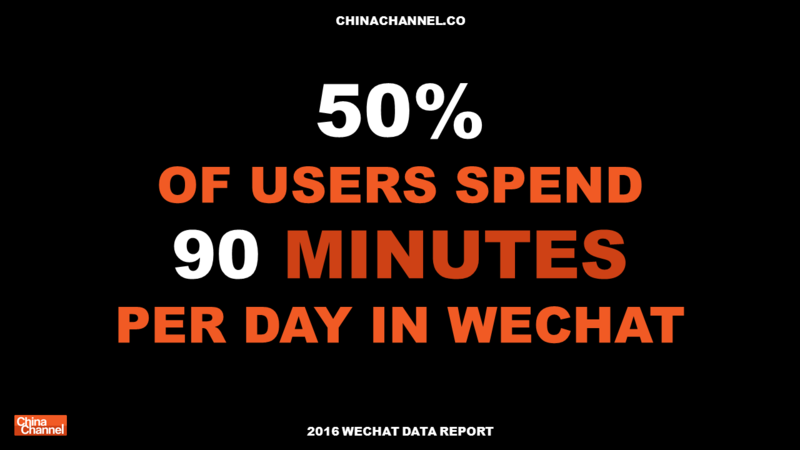 50% OF USERS SPEND 90 MINUTES PER DAY IN WECHAT. 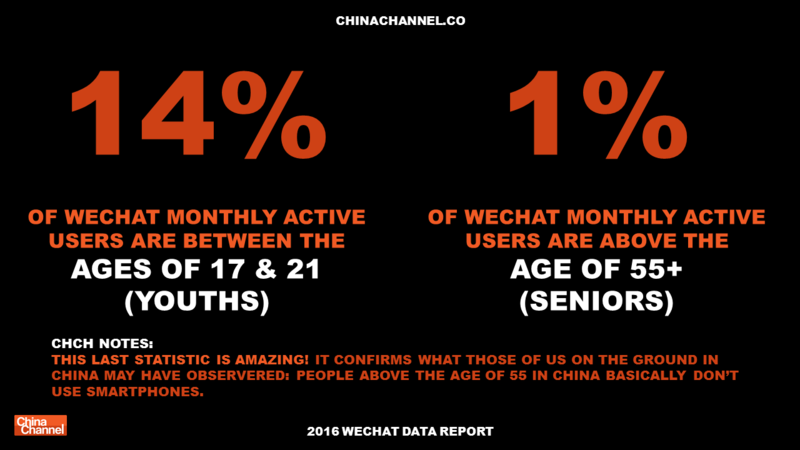 14% OF WECHAT MONTHLY ACTIVE USERS ARE BETWEEN THE AGES OF 17 & 21 (YOUTHS) 1% OF WECHAT MONTHLY ACTIVE USERS ARE ABOVE THE AGE OF 55+ (SENIORS). NOTES: THIS LAST STATISTIC IS AMAZING! IT CONFIRMS WHAT THOSE OF US ON THE GROUND IN CHINA MAY HAVE OBSERVERED. PEOPLE ABOVE THE AGE OF 55 IN CHINA BASICALLY DON’T USE SMARTPHONE. 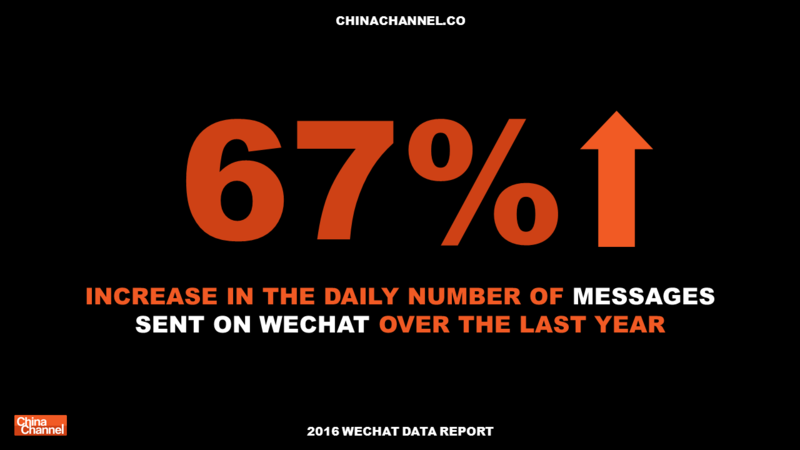 67% INCREASE IN THE DAILY NUMBER OF MESSAGES SENT ON WECHAT OVER THE LAST YEAR. 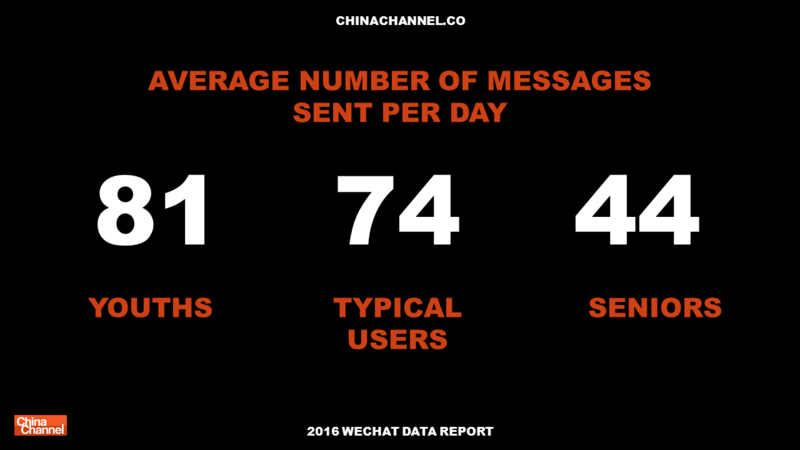 AVERAGE NUMBER OF MESSAGES SENT PER DAY 81: YOUTHS 74: TYPICAL USERS 44: SENIORS. VOICE MESSAGES AS A PROPORTION OF ALL MESSAGES 13:YOUTHS 16:TYPICAL USERS 22: SENIORS NOTES: OLDER USERS CLEARLY PREFER SENDING VOICE RATHER THAN TEXT. OLDER USERS ARE MORE LIKELY TO BE ILLITERATE OR UNFAMILIAR WITH ‘PINYIN’ PHONE CHARACTER INPUT METHODS. 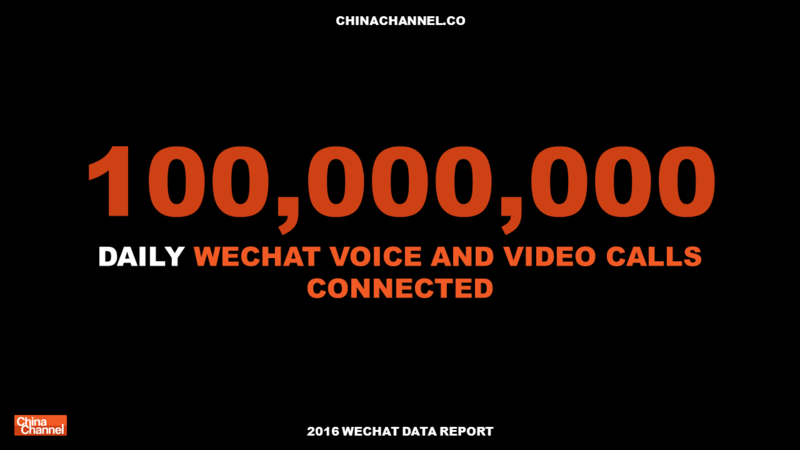 100,000,000 DAILY WECHAT VOICE AND VIDEO CALLS CONNECTED. THIS REPRESENTS A 180%. YEAR ON YEAR INCREASE. 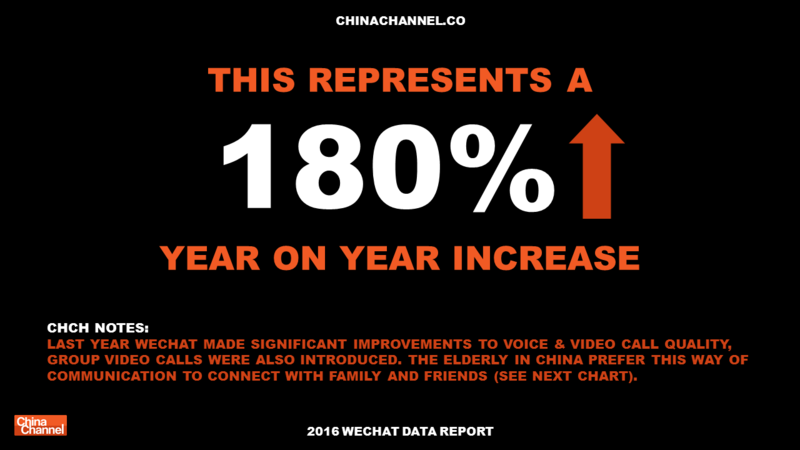 NOTES: LAST YEAR WECHAT MADE SIGNIFICANT IMPROVEMENTS TO VOICE & VIDEO CALL QUALITY, GROUP VIDEO CALLS WERE ALSO INTRODUCED. THE ELDERLY IN CHINA PREFER THIS WAY OF COMMUNICATION TO CONNECT WITH FAMILY AND FRIENDS (SEE NEXT CHART). AVERAGE CALLS CONNECTED PER MONTH. 8: YOUTHS 8: TYPICAL USERS 9: SENIORS AVERAGE MINUTES PER CALL. 65: YOUTHS 65: TYPICAL USERS 82: SENIORS. PROPORTION OF MOMENTS COMPRISED OF ORIGINAL CONTENT. 73% YOUTHS 65% TYPICAL USERS 32% SENIORS. NOTES: ORIGINAL CONTENT COMPRISES OF USER GENERATED PICTURES, TEXT OR VIDEO. TYPICAL USERS LOVE TO SEND PICTURES IN MOMENTS. SENIOR CHINESE WECHAT USERS ARE NOTORIOUS FOR THEIR OBSESSION WITH SENDING CHEESY HEART WARMING MOTIVATIONAL ARTICLES CALLED 鸡汤文 (JITANGWEN) IN CHINESE. 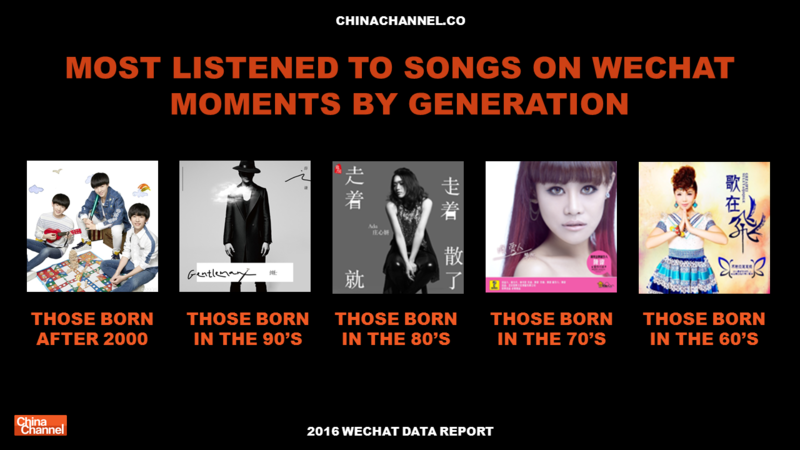 MOST LISTENED TO SONGS ON WECHAT MOMENTS BY GENERATION. TOP HOLIDAY DESTINATIONS FOR CHINESE TRAVELERS USA TAIWAN (CHINA) JAPAN S.KOREA THAILAND. NOTES: WECHAT PROVIDED NO NUMBERS TO SUPPORT THIS GRAPHIC. 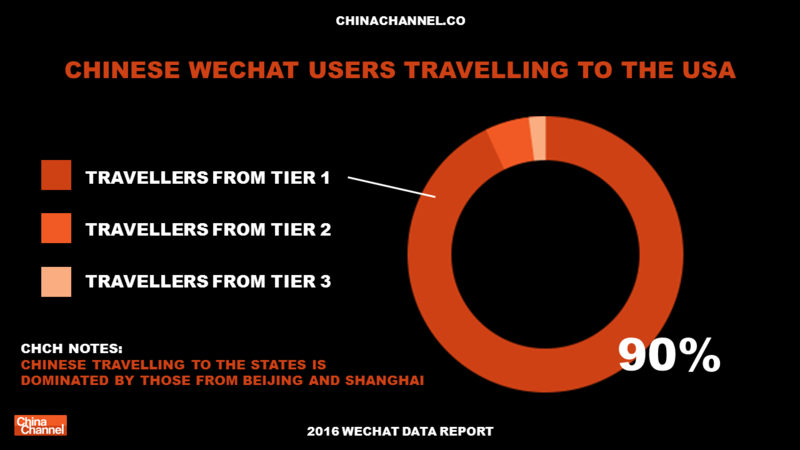 CHINESE WECHAT USERS TRAVELLING TO THE USA. TRAVELLERS FROM TIER 2 TRAVELLERS FROM TIER 3 90%. 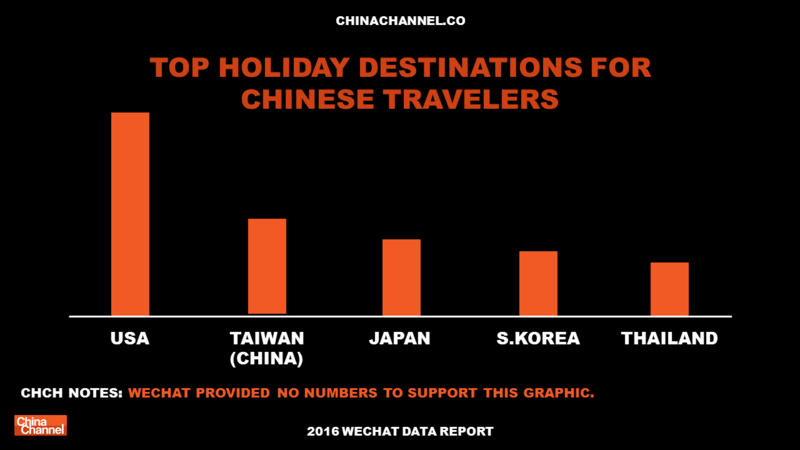 NOTES: CHINESE TRAVELLING TO THE STATES IS DOMINATED BY THOSE FROM BEIJING AND SHANGHAI TRAVELLERS FROM TIER 1. 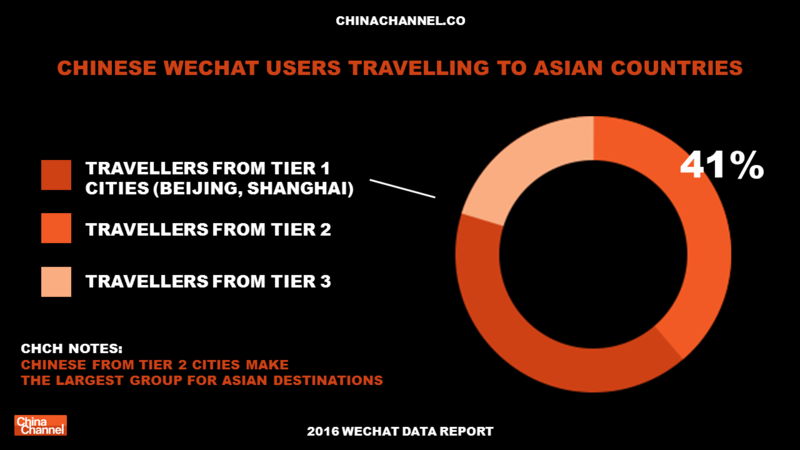 CHINESE WECHAT USERS TRAVELLING TO ASIAN COUNTRIES. NOTES: CHINESE FROM TIER 2 CITIES MAKE THE LARGEST GROUP FOR ASIAN DESTINATIONS. WERUN AVERAGE DAILY STEP COUNT. 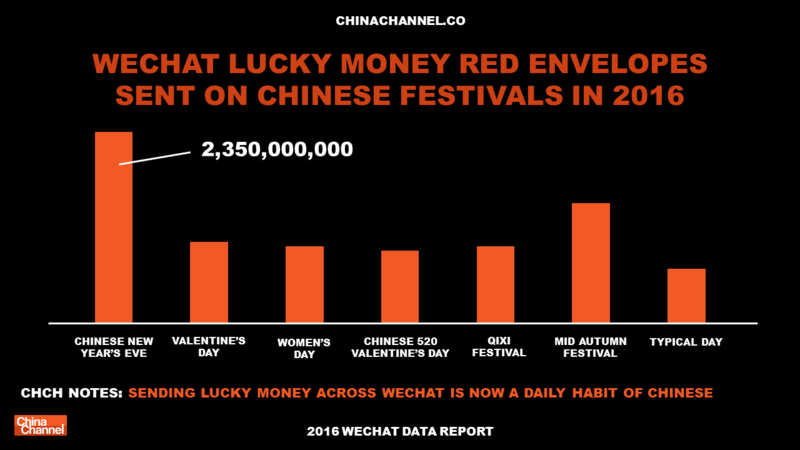 WECHAT LUCKY MONEY RED ENVELOPES SENT ON CHINESE FESTIVALS IN 2016 NOTES: SENDING LUCKY MONEY ACROSS WECHAT IS NOW A DAILY HABIT OF CHINESE CHINESE. MONTHLY AVERAGE NUMBER OF LUCKY MONEY RED ENVELOPES SENT. 20:YOUTHS 28:TYPICAL USERS 25:SENIORS. MONTHLY AVERAGE AMOUNTS SPENT ON LUCKY MONEY RED ENVELOPES YOUTHS (370 RMB) TYPICAL USERS (580 RMB) SENIORS (380 RMB) EXCHANGE RATE: 1RMB = $0.14. NOTES: TO PUT THIS INTO CONTEXT THE AVERAGE SALARY AMONG 32 MAJOR CITIES IN CHINA IS $872 (6,070 YUAN) ACCORDING TO A SURVEY RELEASED EARLIER THIS YEAR BY ZHAOPIN.COM (ONE OF CHINA’S LEADING JOB HUNTING WEBSITES). WeChat Expert, Keynote Speaker, Consultant, Co-Founder of China Channel. 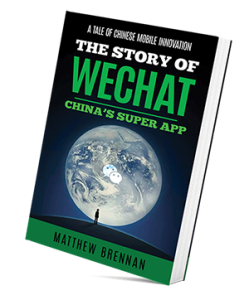 Matthew is a consultant and key note speaker with a focus on China’s mobile ecosystem, in particular WeChat. This new video was played at the end of the WeChat data presentation, with English subtitles. It highlights the typical experiences of China’s older generation when using WeChat. One grandmother hilariously complains about her children blocking her from seeing their moments posts. 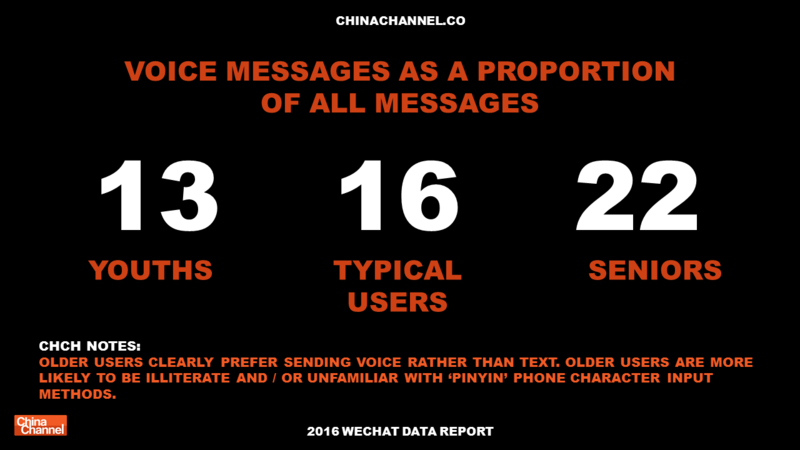 Many stats stand out from this new WeChat data presentation. Why did WeChat feature seniors so prominently? Well, quite frankly the elderly are the only people left in China for WeChat to target! 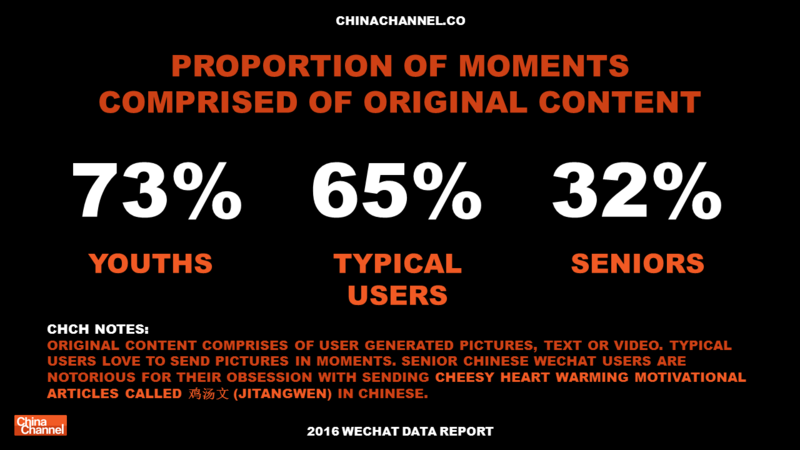 And amazingly only 1% of WeChat users are 55 or above. China’s seniors are truly being left behind as China’s economy shifts into an era dominated by smart phone technology. 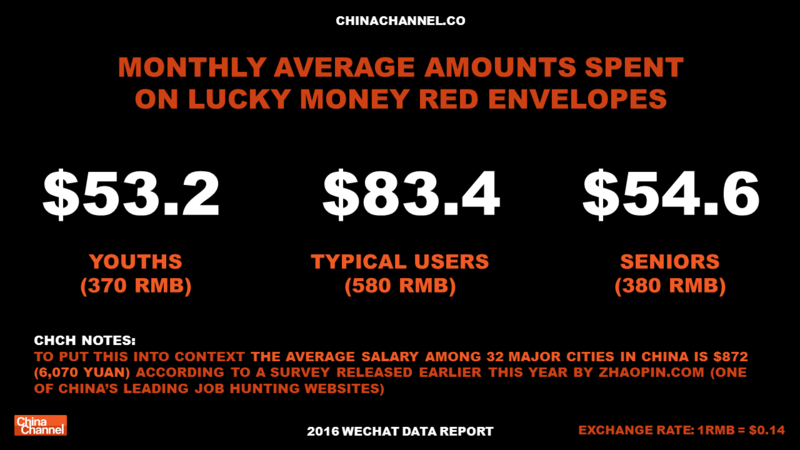 * Estimated average monthly lucky money spend per user 514 RMB. Estimated total China WeChat users746 million.